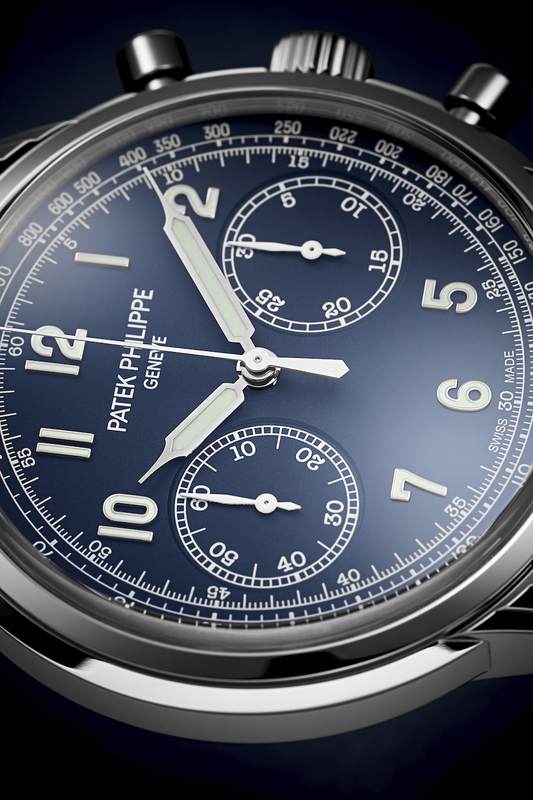 Patek Philippe has redesigned its chronograph of classic architecture for men (column wheel, horizontal clutch and manual winding), endowing it with a new white gold case with round guilloched pushers and three-tier lugs. The case, in 18kt white gold, measures 41mm x 11.4mm. It has a box sapphire crystal, a sapphire display back, and it is water resistant to 30 meters. 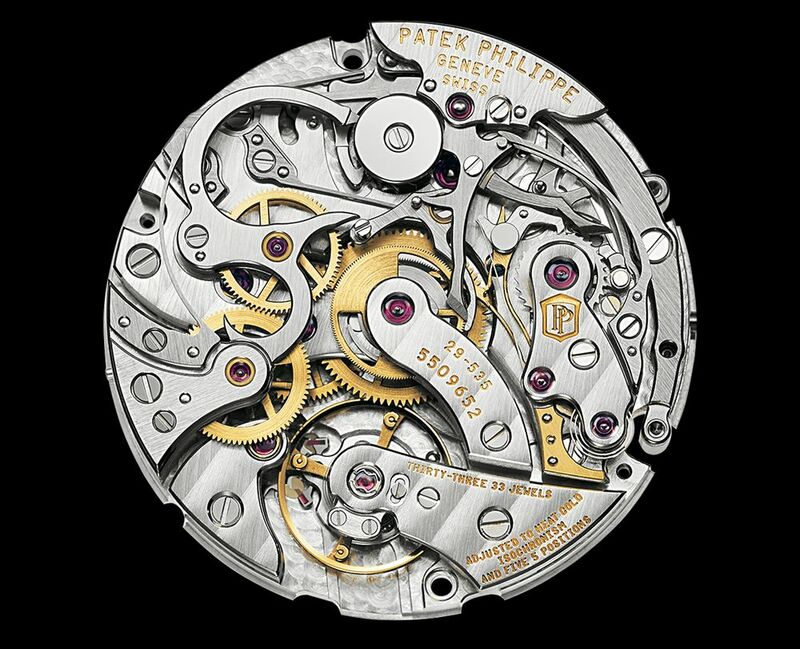 Movement is the Swiss manual-wind Patek in-house caliber CH 29-535 PS with 33 jewels, 28,800 vph and a power reserve of 65 hours. Column-wheel, Gyromax balance, Breguet balance spring. 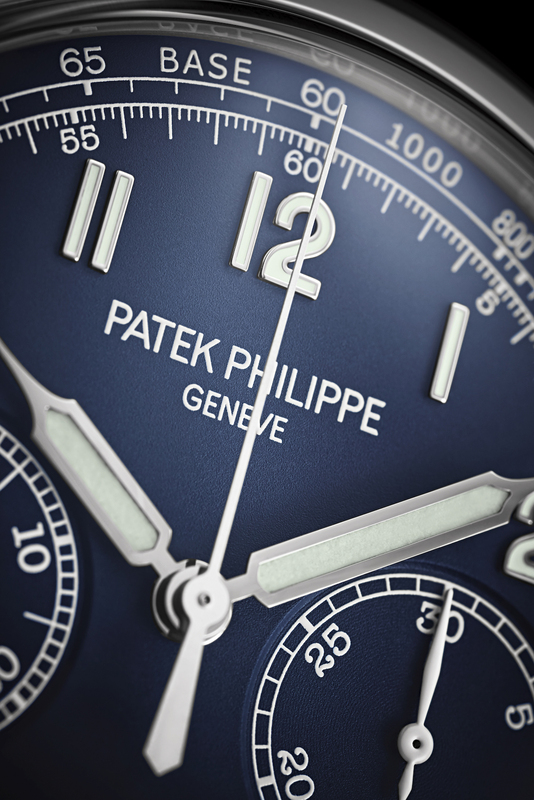 It bears the Patek Philippe seal of quality. 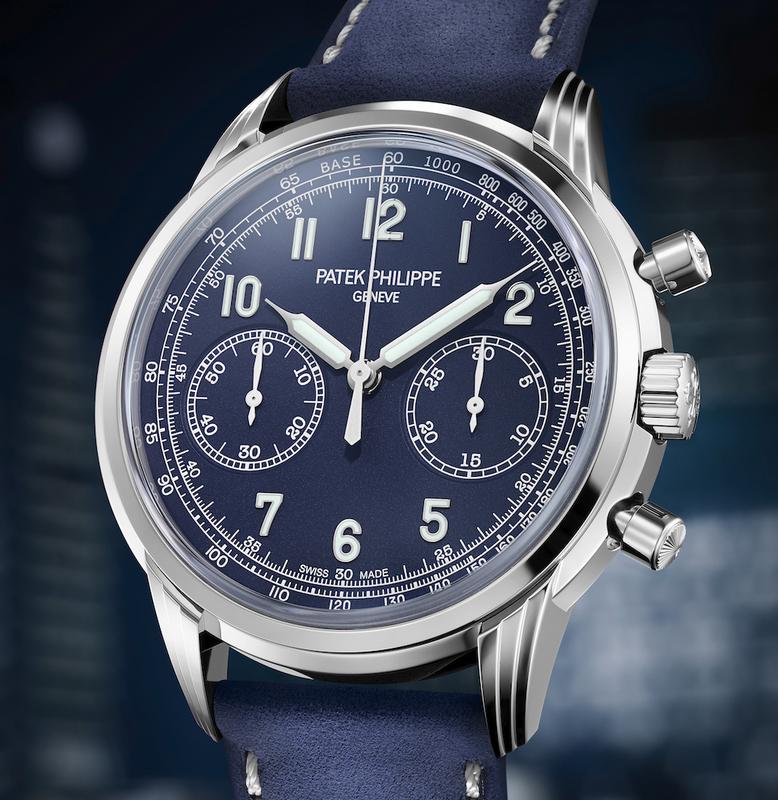 It has a blue varnished dial with gold applied Arabic numerals with luminescent coating. Tachymeter scale. Luminous gold hands. 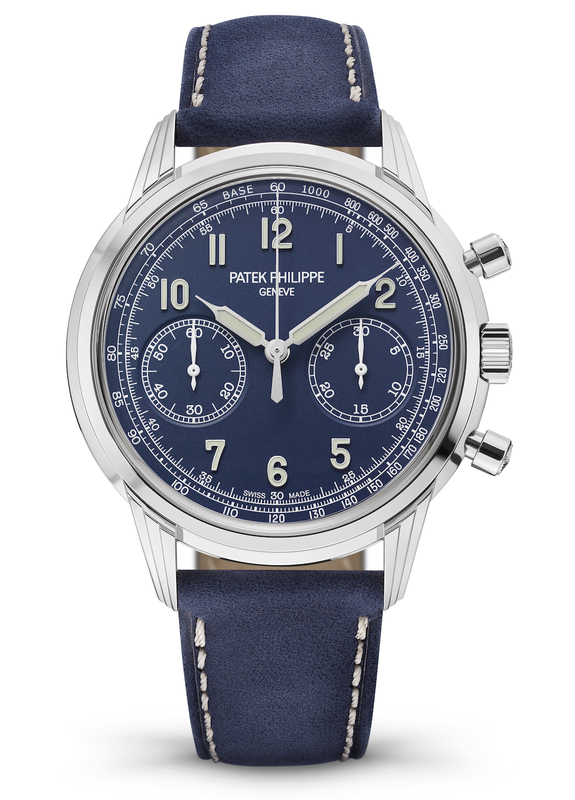 It comes on a hand-stitched navy blue calfskin leather strap with a gold folding clasp.